On October 27, 2010, a design professional who had attended (and spoken at) the 1569 W6th Public hearing on Oct 19 and observed the staff presentation and Council vote on Oct 21, delivered a letter to the office of the Director of Planning, City of Vancouver. Details are below. We will report back when we hear any news on this topic, which we see as a test case for the way information is presented to Council and the public. Who is right? Will you be able to see the newly approved 15 storey tower at 1569 W 6th Avenue from Broadway and Granville? Will this tower block views of any parts of the mountains from this intersection? In the Public Hearing (October 19) and Council discussion (October 21) City staff and the applicant indicated that the views won’t be affected, but I respectfully disagree. Vancouver citizens will find the truth, of course, once the tower is built. I maintain that a person will see an impact on the views to the mountains as indicated by the terms of reference (on reverse). I predict that the new tower will partially block existing views of the North Shore mountains from the intersection of Broadway and Granville. Will you go on public record to say that the tower at 1569 W 6th will not block views from Broadway and Granville, as listed by the terms of reference? This is an important fact that needs to be clarified for the public. Will you accept the challenge? If you would like to clarify any part of this challenge, please don’t hesitate to contact me. 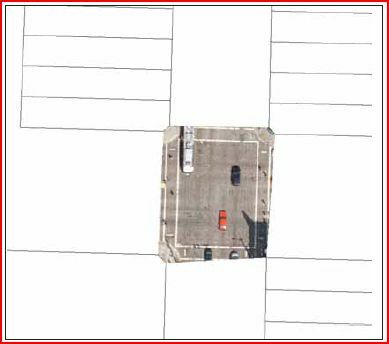 Can a pedestrian, who can move freely around within this intersection (Broadway and Granville) see the new tower (1569 W 6th Street) from at least one point from grade up to 1.8 metres above grade? An intersection is the area where two streets intersect; it is the area that the two streets have in common. This is illustrated in the diagrams. For quick reference, the intersection here is approximately the outer line of the four pedestrian crossings. 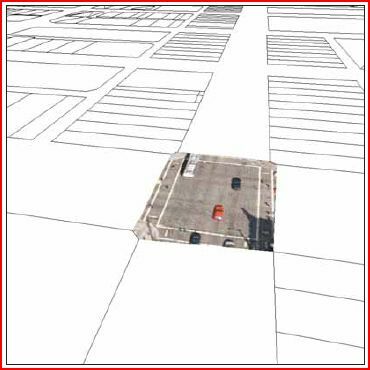 Assumption: no other new building will be built between lines of sight between 1569 W 6th and the intersection of Granville and Broadway before the construction is completed on the tower at 1569 W 6th. Congratulations for sending the challenge into the Planning Department Stephen. It was clear after watching the October 21 st Council Meeting that the Public Hearing process mean little to this Mayor and most of the Council. They just don’t get it. Vancouver is a City with views and attractions that need to be respected and not covered by Tall Buildings. Density and Lifestyles can still be obtained without taking away the liveability and neighborhood charactoristics. I think Bob Ransford ( Vancouver Sun) said it best back in a January article when he stated ” it requires careful and thoughtful planning to ensure that which makesVancouver’s neighbourhoods special is not threatened. Most important, it requires a new vision for what Vancouver’s neighbourhoods can be- as complete communities where existing residnets feel comfortable aging in place and where new residents are provided with the same level of local services and amenities that have long made those neighbourhoods great places to live.